2018 Datsun GO Review — Affordable Gets A New Meaning! Datsun first launched the GO hatchback in India almost four years ago. During its initial launch in 2014, the GO hatchback was pitched to be one of the better-selling models in the small budget car segment of the Indian market. However, the hatchback failed to create an impression in the market, receiving lacklustre response. The 2014 Datsun GO hatchback lacked many features available in most of its competitors. 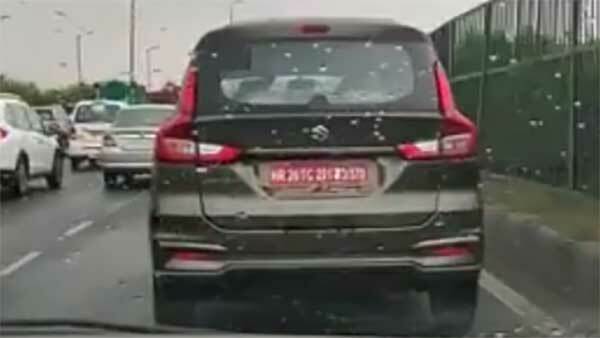 The car also had structural issues and was criticised for a zero-star NCAP rating. However, Datsun has now confirmed that the new facelift version has gone through a number of updates and is now a far more desirable model than what it was before. We got to drive the 2018 facelift version of the GO hatchback recently in the bustling streets of Chennai. After driving the new model, we can say that we were pleasantly surprised with how well the updates have impacted the car. Overall, the Datsun GO is now a better package. The new GO hatchback comes with a series of visual updates. Most of these styling updates are subtle but uplift the overall stance of the hatchback well. Starting from the front, the GO comes with a redesigned hexagonal grille. The grille is now larger in size and comes with a chrome surround. The chrome and the blacked-out mesh definitely offer a fresh look to the hatchback. The new front bumper adds more personality to the front end and features vertically-stacked LED DRLs; a first for the GO. This is available only on the top-spec variant. The new Datsun GO also gets subtle changes to its headlamp cluster. Other changes include the rather sporty proportions on the bonnet and the sharp creases on the side which further accentuate the look of the car. Moving on to the sides, the GO remains identical to the previous-generation model, albeit certain changes. The ORVMs on the facelift model is now body-coloured and the car also rides on larger wheels. Earlier versions of the GO featured 13-inch steel rims while the new one gets larger 14-inch dual-tone diamond-cut alloy wheels. The rear of the hatchback, however, remains unchanged apart from the restyled bumper and the chrome lip at the base of the tailgate. Additionally, the car features a windscreen washer and wiper on the top-spec variant. However, it misses out on the rear defogger. The Datsun GO now comes with a more quirky and youthful persona. There is a definite improvement to the overall design of the car, providing a more premium and appealing look. The addition of the new paint scheme — Amber Orange — gives the car a bold look, making it a considerable alternative. The 2018 Datsun GO hatchback receives major updates on the inside. The new interiors are much more modern and on par with the standards set by other cars in the segment. The car now features an all-new dashboard with Piano Black and silver elements, new front seats and a host of other small updates. Together, they contribute to a cleaner and upmarket feel to the cabin. The gear lever though is unusually positioned at the bottom part of the dashboard which does hurt the knee every now and then, especially for tall drivers. However, Datsun has done away with the unconventional handbrake seen on the previous-generation model for a more traditional lever. The previous GO came with a rather illegible digital tachometer which has now been replaced with a more traditional analogue unit. Datsun has also added faux carbon-fibre bits on the centre console, door handles and above the glove box to help break-up the heavy use of hard plastics all around the interiors. The plastics, though not of the highest quality, offer decent fit and finish all around. Panel gaps which are easily noticeable are also present. Cost-cutting is evident too; such as the exposed metal rod for the seat adjustment and other hard plastics littered all around. The main addition to the interior, however, is the new 7.0-inch touchscreen infotainment system. The system is available only on the top-spec variant and it adds a lot to the premiumness. The Blaupunkt system is commendable and comes inbuilt with Android Auto and Apple CarPlay functions. The screen sits at the centre, with silver accents surrounding its hexagonal display. It also gets a full-HD display and the UI/UX is quite responsive. The tile layout on the infotainment system is easy to use and has all the major functions listed on the home screen. However, the screen is highly reflective and the absence of a physical dial to control the audio inputs is immediately felt. The infotainment is supported by USB and AUX connections, hidden away under the gear lever. The Datsun also comes with a 12V charging socket as an additional feature. The driver and front passenger seats are comfortable at best. They offer good width but are a bit flat with little to no thigh support. The hatchback misses out on adjustment for both the seat height and steering. This translates to a one-size-fits-all affair for the driver. The rear seats offer comfortable seating for three people for short-distance trips. The seats are again flat and passengers will wish for better support. Headroom and legroom are also low for passengers with an above-average height. The boot on the Datsun GO is fairly spacious with a luggage capacity of 265 litres. The 2018 Datsun GO hatchback uses the same 1.2-litre, three-cylinder petrol engine as before. It produces 68bhp and 104Nm of torque and comes mated to a 5-speed manual gearbox. The performance is on par with most of its competitors in the segment and is more than adequate for city drives. The initial response from the engine is a bit weak but once the car climbs above 2,000RPM, the performance is significantly better. At this power band, the speed builds up in a good linear manner without any engine noise entering the cabin. However, the gearbox could have been smoother and lacks well-defined gates for those instant gearshifts. The steering feedback at high speeds is also not great. The car runs best in the mid-range and offers a peppy feel while also being light on the foot. The suspension works efficiently in ironing out all the bumps and undulations. Braking is also surprisingly good, although it isn't as sure-footed under heavy braking as one would hope. The GO hatchback is better for city runs rather than for the open highway. Handling is decent, if not a bit towards the firmer side. The relatively-larger wheels and the 180mm of ground clearance offer some relief on patchy roads. The Datsun GO comes in a choice of five colours: Ruby Red, Bronze Grey, Amber Orange, Crystal Silver and Opal White. The new Datsun GO comes with a host of new features on both the inside and outside. Some of these new features include the advanced infotainment system, inbuilt navigation and smartphone connectivity with Android Auto and Apple CarPlay. Datsun India initially offers a free one-year warranty for all their products, called the New Vehicle Warranty. Apart from this, the company also offers an extended warranty for a period of either two or three years. This extended warranty comes into effect once the first-year warranty period is completed. The additional warranty is applicable for a period of two to three years or unlimited kilometres, whichever comes first. The budget car segment of the Indian automotive market sees stiff competition from most of the major automobile companies such as Maruti Suzuki, Tata Motors, Hyundai, Honda, Ford and Renault. 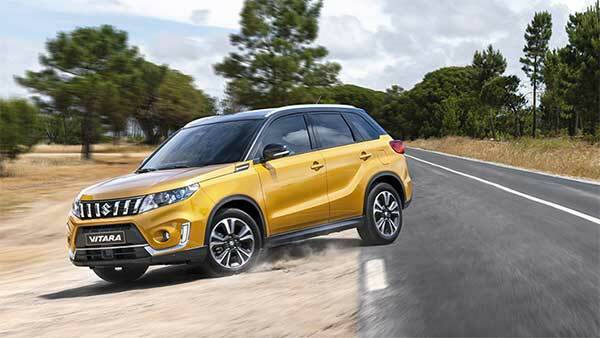 The new Datsun GO takes on rivals from various products from the above-specified automakers. Some of them include the Maruti Suzuki Alto K10, Maruti Suzuki Celerio, Renault Kwid 1.0 and the Hyundai Eon. Here is a brief comparison of the Datsun GO with two of its rivals in the small budget car segment on the Indian market. The 2018 Datsun GO is one of those small budget hatchbacks which is perfect for a first-time buyer. The refreshed model now comes with all the features and equipment expected at the price range. The driving is good enough for city commuting and the occasional highway runs. Datsun has really stepped up their game with the refreshed GO, making it a serious alternative to budget hatchbacks. Along with the Datsun GO hatchback, we also got to test out the new GO+ MPV as well — read our review here. The Datsun GO has really come a long way with the 2018 update. The car now feels sturdier and fun-to-drive around the streets. With the budget car segment in India dominated by the likes of the Maruti Suzuki Alto and the Renault Kwid, the new Datsun GO has got the potential to upset sales of its competition. The car offers the perfect balance between performance and efficiency, yet manages to go easy on the pricing.